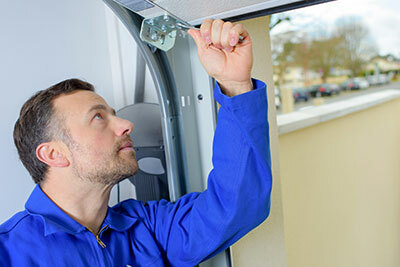 Virginia Beach Garage Door Pros offer garage door repair in Virginia Beach, Norfolk, Chesapeake, Portsmouth and all the surrounding areas in Hampton Roads. Looking for a door? Need to add value to your property? Is your door acting up? Is it time for a replacement? We offer residential and commercial repair in Virginia Beach, Norfolk, Chesapeake, Portsmouth and all surrounding areas in Hampton Roads. From installations, to repairs and maintenance, our team can cover just about anything. No job is too big, too small, or too complicated for us. A door breakdown can definitely out a damper on your day—which is why we offer same day service for repairs and replacements for everything from broken springs, to uneven rollers, to faulty remotes and sensors. The last thing you want is to leave your cars stuck in your garage, which is why our team will get on the job as quickly as possible. And when the unexpected occurs, we offer you 24/7 emergency repair service so you can get on with you day. Our experienced and highly-trained team of professionals are guaranteed to find and fix any problem for nearly any door, no matter the brand, age or part needed. We’ve also provided dozens of local businesses with commercial garage doors that fit their professional needs and image. With every job, we’ll give you the best we can offer, in both parts and service from a door for your family home, to a storefront commercial overhead for your business, we can provide. Our customers aren’t just numbers—to us, they’re family, friends, and ongoing business partners. 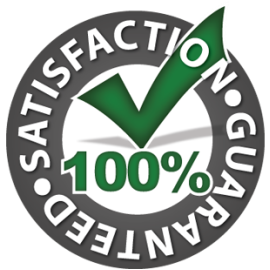 Your satisfaction matters to us, which is why we offer the best professional services, best prices and best warranties you can find for your door. Our highest priority is to help you walk away 100 percent happy with the products and service you receive. This is our guarantee to you. Improper door repair can be hazardous, which is why we do it right the first time. Our wholesale-only, industry-proven parts will guarantee that any repairs performed by our technicians will last you and your door a long, long time, and keep it working to full capacity. While it’s tempting to “DIY” your garage door repair, what seems like a quick and easy fix can actually be a dangerous undertaking. A spring repair, for example, may seem simple to perform yourself, but in reality, can prove hazardous to repair. Your torsion springs, for example, which are essential for the garage door opening and closing properly, can easily injure the unprepared repairman. The springs are under an enormous amount of pressure-- one wrong move can snap the spring or send it flying, injuring an untrained homeowner attempting to fix the issue themselves. Stay on the safe side, and leave repairs and replacements to the pros. Whether it’s a faulty sensor, or a mechanical issue within the spring systems, let our team diagnose the problem, find the correct parts, replace it safely and get your garage door working again. An ounce of prevention is worth a pound of cure—which is why maintenance is the best way to find and fix problems before they start, helping your garage door operate to full capacity and extend its functioning life. While most maintenance and repair tasks should be performed by experts, there are some you can perform yourself. To reduce noise and increase your door’s lifespan, lubricate the hinges and rollers of your overhead door once or twice a year. To keep your door clean and new-looking remember to clean it at least once a year with a cleaner recommended by the manufacturer. You might also repaint it or apply a stain or sealant, depending on the type of door you own and the environment you live in. If you notice any issues in either the appearance or function of your garage door, contact us right away, and we’ll get you the service you need. A good-looking door isn’t just a way to improve the aesthetic of your home—it’s an important entryway to you garage and a huge aspect in considering your property value. A new and well-fitted garage door can boost that property value and out a smile on your face whenever you pull into the driveway. Trust our team for residential installation in Virginia Beach, and you’ll have a beautiful door to greet you for decades. 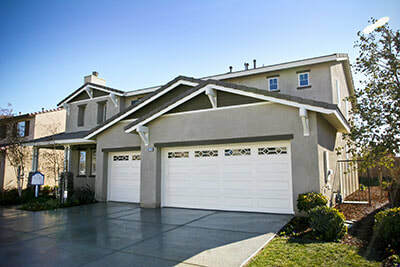 Installing garage door openers is a delicate and complex operation that is best left to the professionals, who will ensure that your door gets off on the right foot, fits your garage interior, and lasts for a lifetime. Our installation techs will take them time to carefully measure and map out your garage exterior before placing down the new tracks to your door. They will take into account the headroom, type of door and space needed for optimal operation of your door. Your new door will be built on site from the ground up, ensuring a snug fit and smooth operation, installing each panel with secure attachments and hinges. Your experienced installer will also perform maintenance and ensure the opener is well-lubricated before it operates. Once everything’s in place, your door will open and close smoothly. Whether it’s for looks or for function, there’s a huge variety of garage doors to choose from for your home needs. For help determining which type of door you need, be sure to speak with one of experienced sales representatives. If you’re looking for a cost-effective door that will protect your garage from both severe weather and intruders, a steel door is the way to go. Providing insulation and a tasteful aesthetic, this door will help up your property value, drive down your energy costs and require little maintenance. If you’re looking for a rustic, country look, then the carriage door is for you. Carriage garage doors look like old fashioned barn garage doors that open outward, but function like any other overhead door. They are also available in a variety of styles, colors and finishes to suit any home. Whatever your needs and wants are, whether its a door or a garage door openers, our team will help you find the right fit for you—in looks, lifestyle and garage size. A malfunctioning commercial door is a huge safety risk to both your property, and your employees and customers. A door stuck half-open can close without warning, crushing anyone or anything in its path. A door that won’t open blocks an important entryway and exit, posing a hazard during an emergency, and a door stuck open is a neon sign for vandals, intruders and burglars to come and pick off your rightful property. Trust our team to install your door the right way, so it opens and closes the way it’s supposed to every time. Our maintenance team can stop problems before they start, and our repair techs are on-call for when something does go wrong. 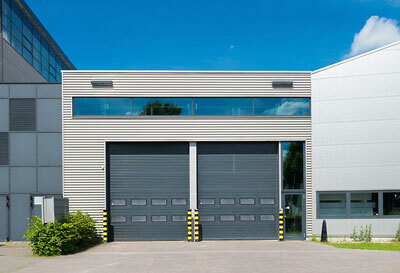 If your existing commercial doors break down suddenly, we know how to fix them. Just call and make an appointment, and our experienced team of pros will have your door working again before you know it. Commercial doors need to be strong, sturdy and reliable, and we’ll make sure your door is installed the right way. When one of your garage doors is damaged or broken into, a swift repair or replacement is essential before your assets are damaged or stolen. 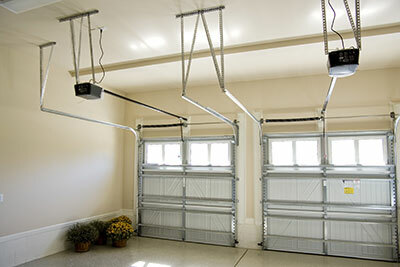 Even the best garage door needs regular maintenance, both due to wear and tear, and Virginia’s extreme weather. Let our pros keep your door in working order, and help it last for dozens of years. Ideally, your overhead door should give you no troubles and operate perfectly at all times. However, if something seems off, you should have it looked at immediately. If your business is in harm’s way due to a faulty door, quick help is critical. That’s why our team offers 24-hour emergency repairs to all of our valued customers. If an issue is urgent, we can have one of our techs come over and take a look within the same day, and either perform a full fix, or a temporary patch until an appointment can be made. With our swift service, your customers and your assets can remain protected. If you’re a Hampton Roads business owner, you have a wide range of installation options available to you. Certain features can add to the security of your door, add to the look and enable wireless access, but will also cost your business more for the install. Our team can help you choose a door and installation process that best suits your needs as a business. Getting the right door is only the tip of the iceberg. A good installation by the right team of people will ensure a door that lasts a lifetime, which is why businesses consistently choose Virginia Beach Garage Door Pros for their garage door needs. Between models, makes, features, brands and styles, choosing the right door for you can seem daunting. However, our team of experts can help you refine your choices and select the right door for you and your needs. Is getting a new door making your accountant shiver? No need! Our prices are the best on the market, without trading away the quality we know you’re looking for. We offer most major brands on the market and a premium installation from our team of professional technicians. Our commercial doors are built for security and safety, which are key for any business, large or small. The strength and quality of the parts used for commercial overhead doors need to be of the highest available quality. For some businesses, this isn’t a priority—until a problem arises. Avoid unexpected surprises with our high-quality options and repair services, so you can focus on your clients, and not on your doors. One of the most important factors in repairing your doors is appearance. Whether your commercial property is a client-facing location like a storefront, a frequent service operation like an auto dealership, or a heavy-duty operation in a warehouse or an industrial building, aesthetic is important. Your doors are often the first impression that your clients and partners will get of your business. Tell them that you value quality with a one of our commercial doors, which are guaranteed to operate smoothly from the start. To learn more, contact our staff at Virginia Beach Garage Door Pros.